Weather is changing, Autumn is upon us. The weather has started to turn in the Pacific Northwest. Cool, crisp mornings with late afternoon warmth for a short period before night cools back down has hit the Columbia Basin this week. The days are becoming shorter and you can see the start of the leaves changing colors. The pea market has continued to be firm due to production levels worldwide. We susupect this to remain until new crop arrives in 2019. Processors throughout the Pacific Northwest met budget with decent yields and quality; however the Midwest is still looking for supply to off-set their pea losses. Sweet Corn season has passed over the midway point. Corn yields continue to be average, and processors continue to watch weather reports in hopes of harvest maintaining until the beginning to middle of October. The cooler days will affect the growth of the corn as well as overall flavor profile. 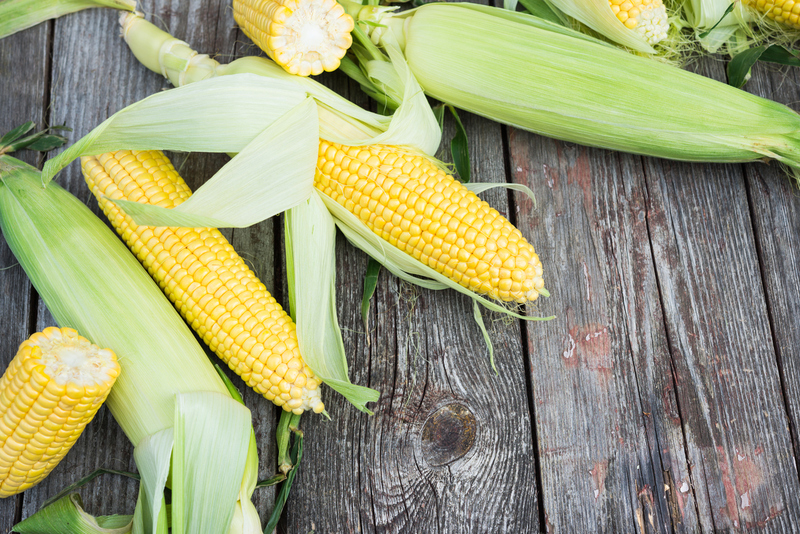 Sweet corn performs best with warmer weather and cooler nights. The overall outcome of the season for most processors will depend on the next 4-6 weeks. Demand for corn has continued to drive the price upward. Processing Potatoes are in full swing in the US. Timely rains in the Midwest is helping the production of certain states. The Dakotas though remain dry. Usage for potatoes throughout the year may shift more towards processing needs of flakes and dehydrated as well as French Fries due to the shortages reported coming out of Europe. Prices will remain firm in the market. Sweet Potatoes are in jepordy due to Hurricane Florance. North Carolina is the largest sweet potato growing region in the United States, providing over 50% of all sweet potatoes. Pricing has already started to increase due to the potential of shortages in the fresh market, and time will tell in regards to processed sweet potatoes. Sweet Potatoes like well drained soil and the 10 to 30 inches of rain that were recorded in North Carolina will have a negative effect on the crop. However, the final outcome will not be known until harvest is completed sometime in late October or November (weather permitting). The drought conditions earlier in the year and then the excess rain during the planting season has continued to give challenges to the Mexican broccoli and cauliflower industry. The transplants of Cauliflower take place in March, April and May. This year shortly after transplanting, floods occurred which caused a loss in the cauliflower fields and a reduction in yields for broccoli due to rot. Cauliflower has a three-month growing season and the fields/plants that were lost were replanted. The harvest for these freshly replanted fields will take place in late October. Production for both cauliflower and broccoli look to be less than average during the upcoming months. Processing Potatoes: Reports continue to come in with news of a short potato pack in Europe for processing. Recent articles claim that on average French fry length may be shorter due to weather conditions. Corn season continues and mix signals do as well. Processors and seed suppliers in Hungary show indications of a season that is producing above average yields, while other countries continue to look to import IQF corn to offset below average yields. Edamame: Crop is healthy; however the new tariffs will play a large role in this season’s export of Edamame. Please see our trending article in this newsletter for more information regarding tariffs. Previous PostPrevious How Clean Is Too Clean?